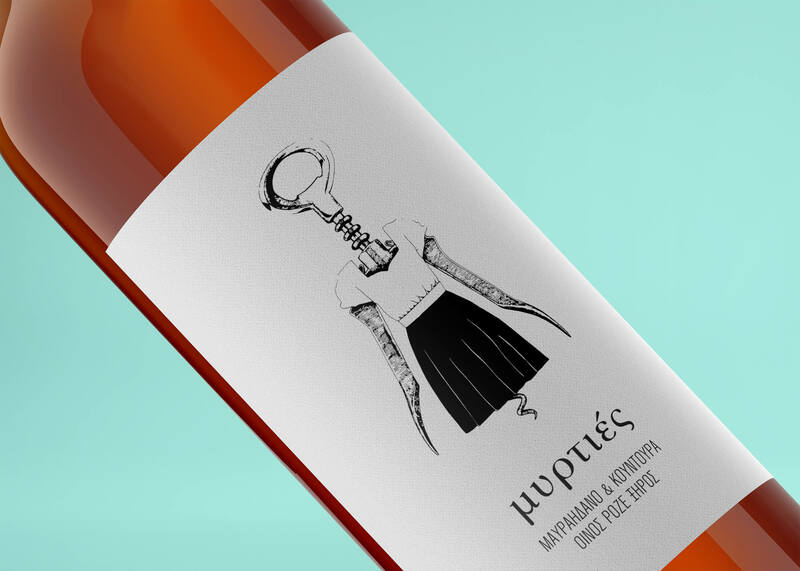 Myrtiés is the place of origin of the wines, a location at the northern part of Syros. 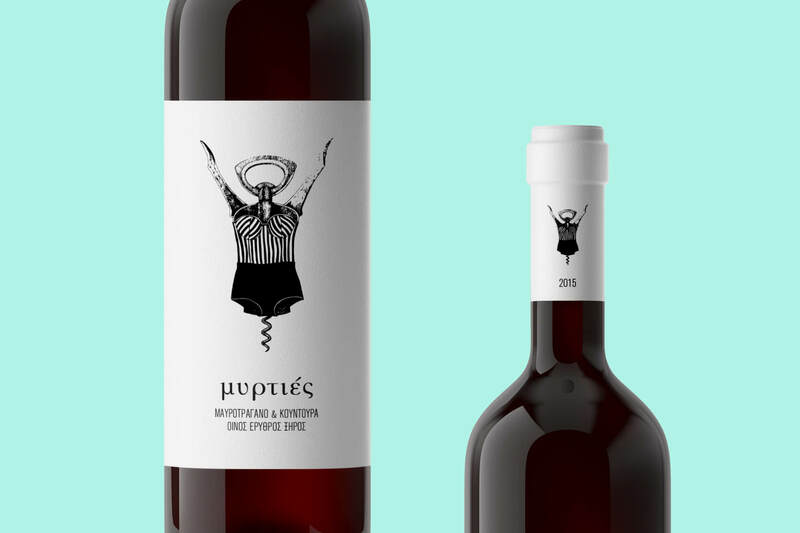 A small vineyard situated where the hills meet the sea, where grapes are handpicked with care in order to transform to the precious liquid. 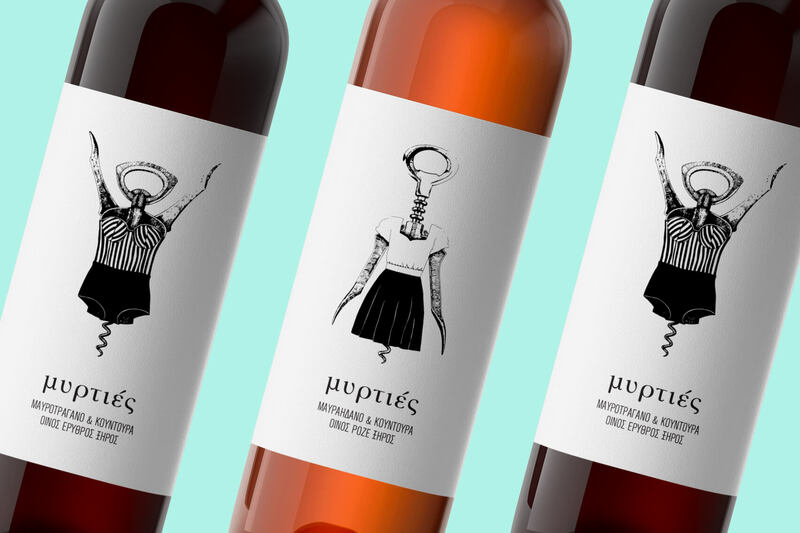 Two hand sketched illustrations of lady-like corkscrews are the theme of the labels, underlining significant characteristics of the products, such as their handmade production methods, their limited number availability and the special, rare and delicate varieties of grapes used. 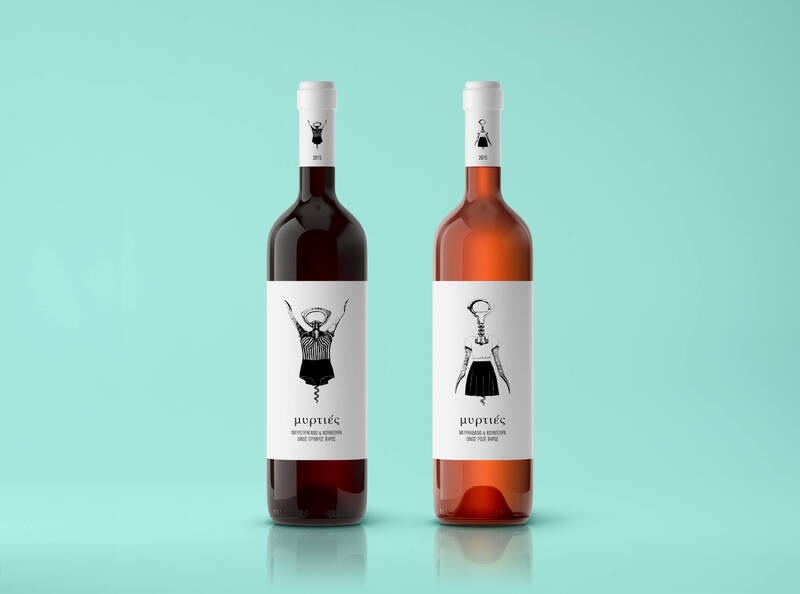 Each of the illustrations is designed in tune with the flavor and the intensity of its matching wine: a more stocky corkscrew, with feminine and bold attire for the red wine and a more fragile, girly and playful “lady” for the rosé.